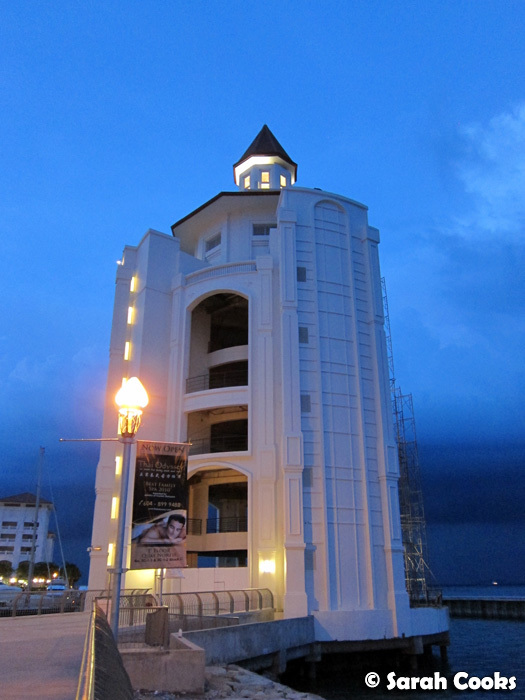 Straits Quay is a new retail and entertainment precinct from E&O Developments, on the waterfront in Tanjung Tokong. Think: Docklands, but without the wind, and with actual customers. And when I say "new", I mean that it popped up sometime in the last eight years, between my last two visits to Penang. 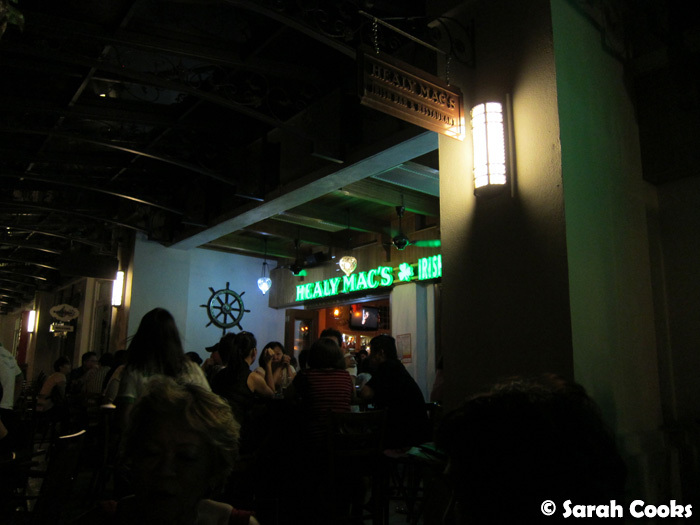 We came here a couple of times over our trip, for dinners, yummy desserts and drinks! 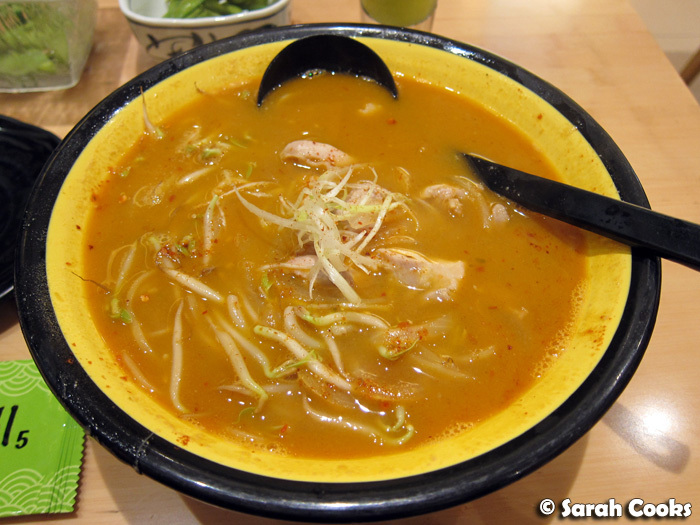 I know that journalism about Penang focuses primarily on its rich culture of hawker food, and justifiably so, but there is a real diversity of places to eat in Penang - from the streetside stalls and casual restaurants to the big chains, and 'proper' posh restaurants too. 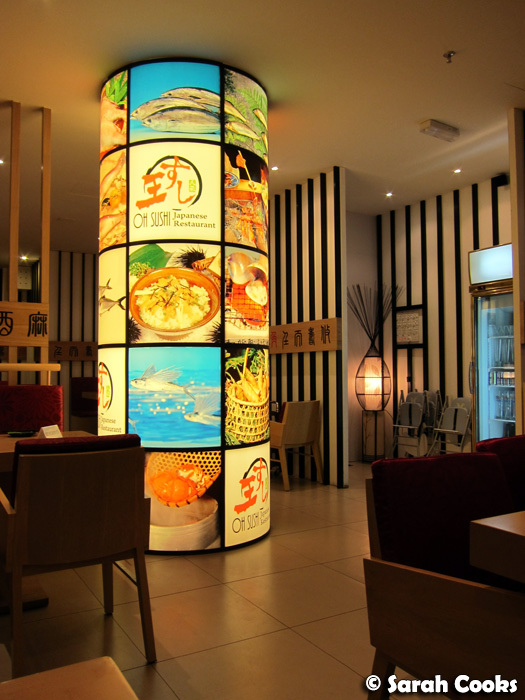 Of course, cuisines from around the world are well represented - Japanese, Thai, different Western cuisines and more. It's not like locals just eat local food all the time - that would be like saying Melburnians only eat at inner-city converted warehouse cafes! Hehehe. I should admit to you all here that when I was a little kid, I hated hawker stalls and kopitiams. Hated them. My parents would have to drag me, kicking and screaming to them. I hated the humidity, I hated the rickety stools, and I got scared every time one of the uncles would yell "KOPI PENG, NOR-AY, CHILAY MILO PENG!" across the room. At that age, I would have given anything to eat somewhere airconditioned, like the Shangri-La hotel buffet or Tip-Top or Top-Top cafes. (Those cafes have since closed down - today's equivalent would be a Coffee Bean). Of course, now that I'm all grown up I love hawker food - it's funny how things change! 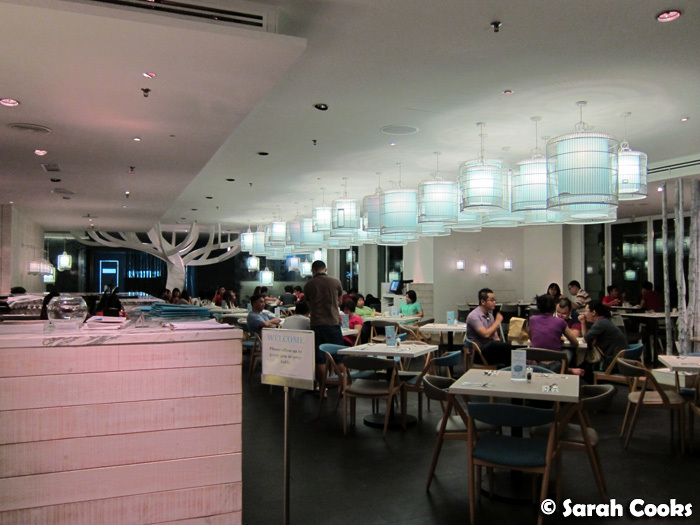 But for today I wanted to show you the different outlets we enjoyed at Straits Quay. My uncle brought us to Nyonya Breeze Desire, for really good Nyonya food in a lovely environment. The service here was great too. People who've been to Penang will know what I mean when I say that often, Penang-service can be a little, well, sleepy, but the head waiter / manager here was super nice, really outgoing and switched-on, with excellent knowledge of the menu. We brought my aunty to Oh Sushi! for dinner on the last night we stayed with her, to say thank-you for being an awesome host! 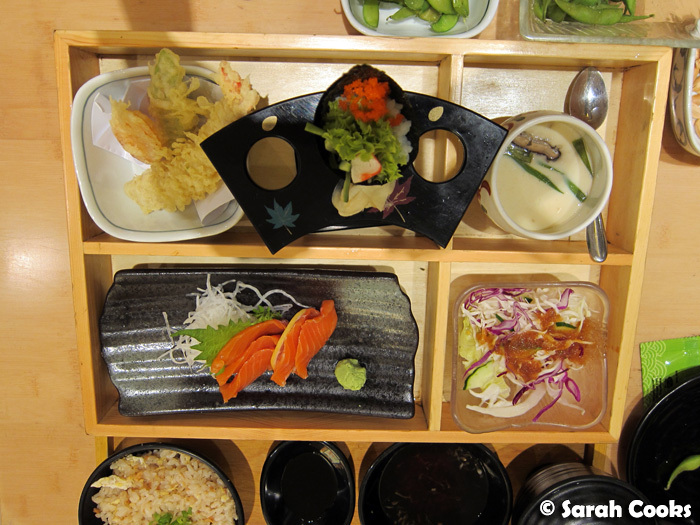 She loves Japanese food, and one of her friends recommended this restaurant to us. 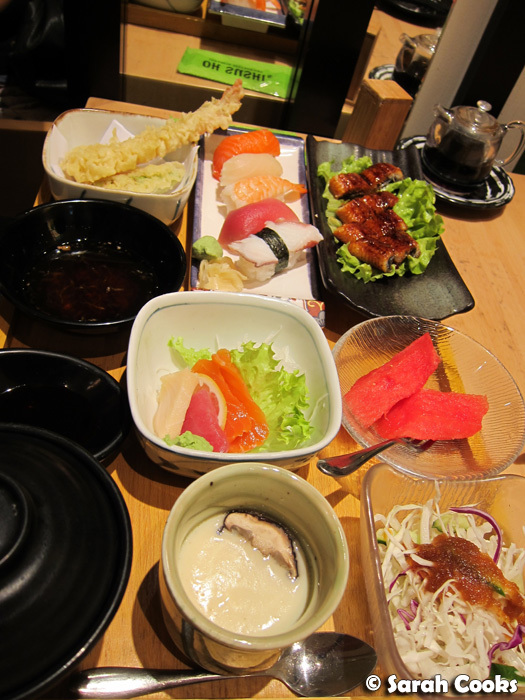 The servings here were very generous, and well-made, and very fresh. The menu is massive though, so it took us ages to make our decisions! Unagi / Tempura bento - massive! 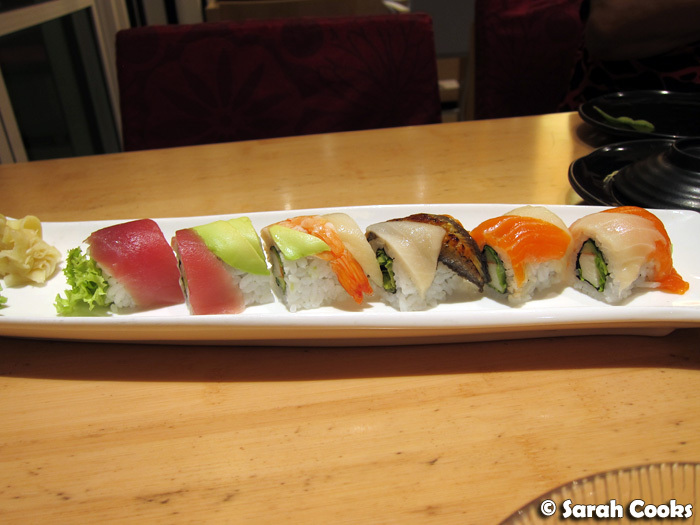 At RM180 for three people, Oh Sushi! was expensive by local standards, but by Aussie standards it was a bargain (less than $60 all up!! ), and we were absolutely stuffed by the end! I wouldn't have thought to go to a cafe in Malaysia for Western-style cakes - ordinarily this is the type of place I would just sit in with a drink for a rest whilst shopping. However, my uncle of discerning tastes said it was pretty good, and I was happy to give it a go. It actually turned out to be really good, and we ended up visiting twice! 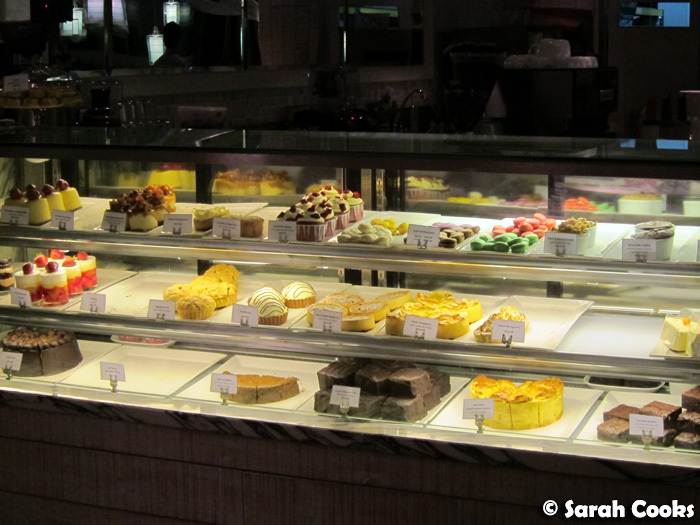 I liked the light, breezy atmosphere... and the cakes in the cabinet looked great too! On our first visit with my uncle (this was straight after Nyonya Breeze Desire), we shared two cakes between three of us, as well as coffee and tea. 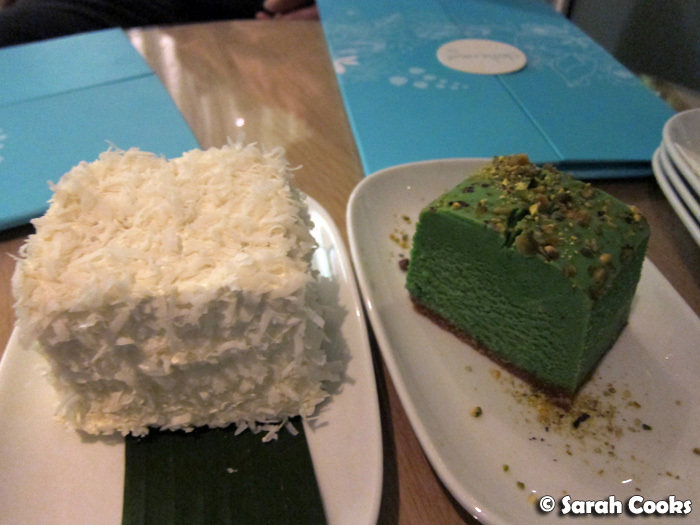 Both cakes were good, but the coconut cake was an absolute standout! 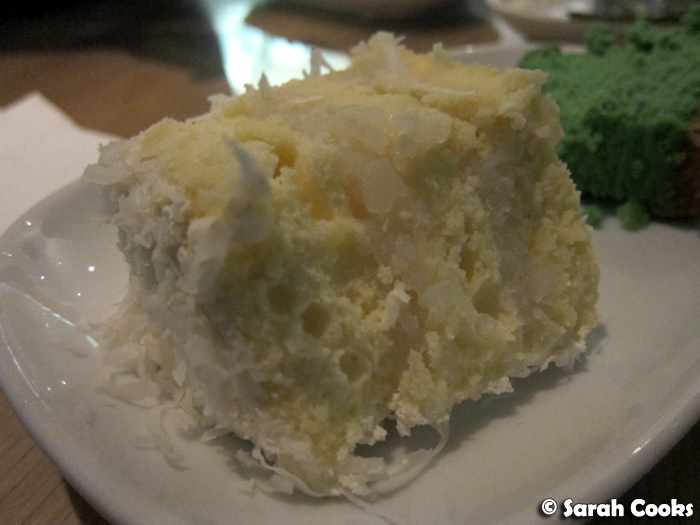 Light, fluffy cake layers, sandwiched with lovely coconut-flavoured cream, all covered in icing and shredded coconut. Not too sweet, and with a natural coconut flavour, it was gorgeous! On our second visit (straight after Oh Sushi! with my chocolate-loving aunty), we were quite full, so just shared one cake between the three of us. 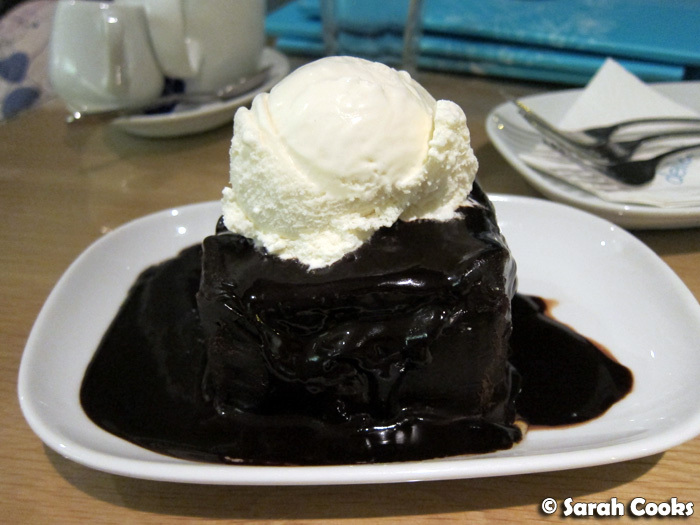 The chocolate cake was served warm, smothered in hot chocolate sauce and topped with vanilla ice-cream. Super-yum! I know not everyone travels all the way to Malaysia just to have Western cakes, but I think Delicious is a great option if you've had enough of peanut pancakes and banana roti, and are just craving some rich Western cakes! After dinner at Oh Sushi! and dessert at Delicious, Aunty Rosie, Sandra and I headed to Healy Mac's Irish Pub for drinks with two of Aunty Rosie's girlfriends. 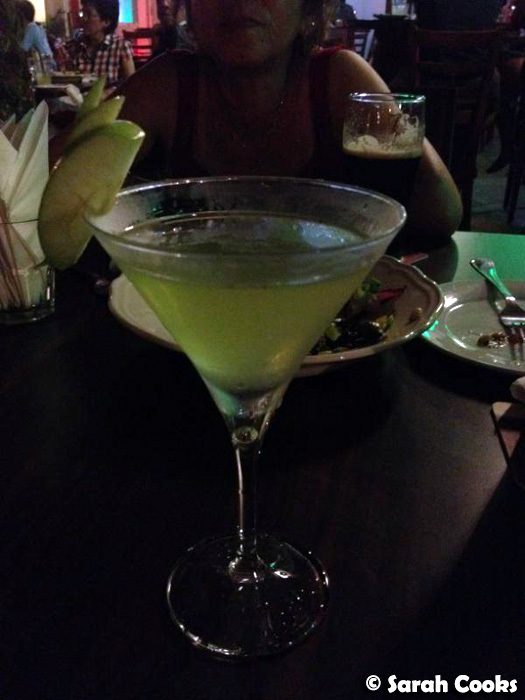 So yes, you've read that right - we were out drinking at an Irish Pub with three ladies in their sixties - and I am ashamed to say they out-partied both of us! After a big day of sightseeing and walking around in the heat, by the time night time came around we were completely drained and knackered - not my aunties! They were eating, drinking, laughing, requesting songs from the live band - the singer there did an amazing cover of Janis Joplin! - and even ordering shots! "Come on girls, have a drink! You like beer? Have a cocktail!" 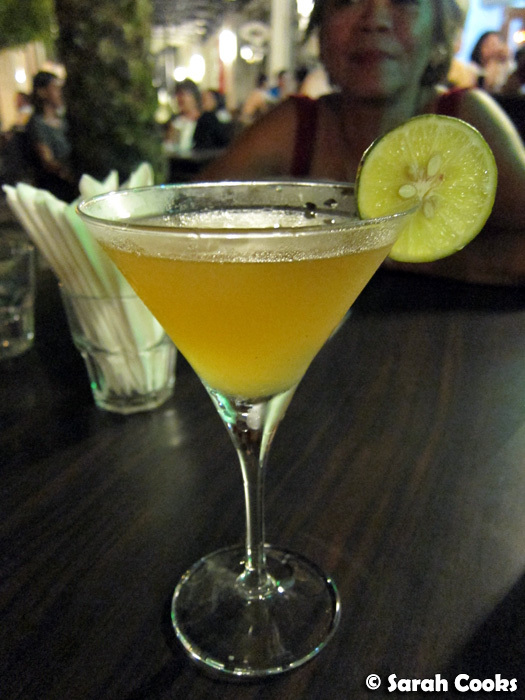 I can't remember the name of this particular cocktail, but I'm sure it was some kind of sexual double entendre! The cocktail below was called a "Sexual Eruption". Ahem! When Aunty Wan asked us: "What are you drinking, girls?" I couldn't bear to say the real name to her face... I'm pretty sure I said it was a Cosmopolitan! I was actually really impressed by the cocktails here - they were way better than the ones at the Sky Bar in KL, and quite a bit cheaper. I didn't eat anything here, but I have it on good authority that the pork knuckle served here is very good. 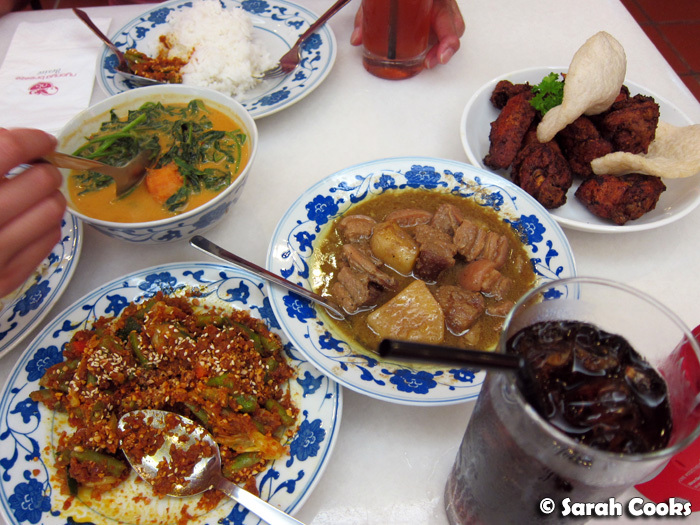 We're getting close to the end of my posts on Penang! I've just got one more to come: my review of the Rasa Sayang Resort and Spa. YAY! 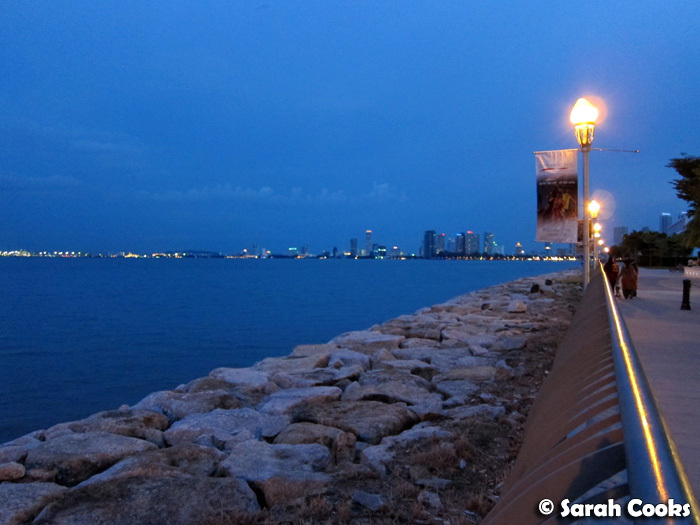 This is the fifth post in my series: 2012 Trip to Penang. Straits Quay opened last year, so hasn't been around for long. They do have a good selection of restaurants there but like Germaine said, it hasn't been as popular as they thought it would be. Good to know your uncle rates the Nyonya place...I've been eyeing that one off as a place to try. And if you like cheap cocktails, you've got to go to Beach Blanket Babylon (behind 32 The Mansion, near E&O) Happy hour cosmos for RM9, Mojitos for RM10, and water views to drink to. Nothing better! I really want to try teh achar awak. Mmmm pickles and seeds and intense flavours! And pistachio cheesecake. My favourite nut and my favourite kills-my-lactard-stomach dessert... Love your travel posts Sarah! Hannah - Hehehe thanks! I'm told achar isn't that hard too make - and really healthy (unusual for a Malaysian dish lol). Maybe google it and give it a go - sooo yum! 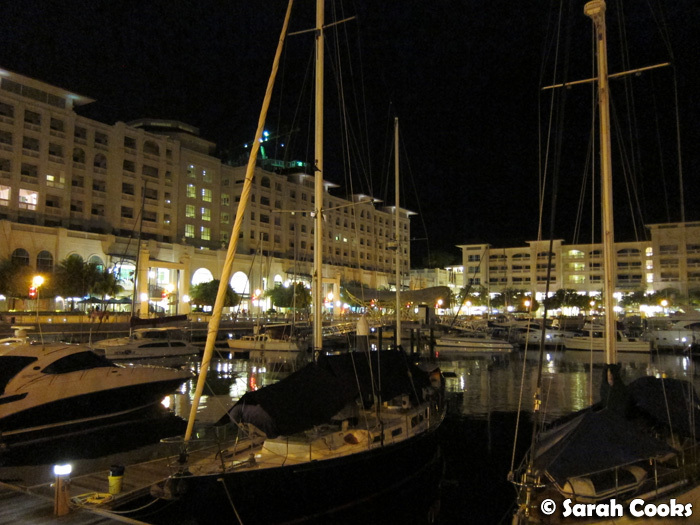 It does look a little like Melbourne Docklands!